EDINBURG — A man who was arrested after dropping off a woman’s dead body in front of a Mission hospital made his first appearance in court Monday morning since he was detained March 17. County Court-at-Law Judge Sergio Valdez set Jaime Treviño Jr.’s bond at $1,000 Monday, more than a week after Mission police arrested Treviño on an outstanding criminal trespass charge. No charges relating to the death of Cydnie Lauren Herrera have been filed against Treviño as of Monday, his attorney Carlos Ortegon told the judge. According to Palmview police, Treviño left Herrera’s body outside Mission Regional Medical Center in the early morning hours of March 17 and then left the scene. Preliminary autopsy reports suggest she died of an overdose. 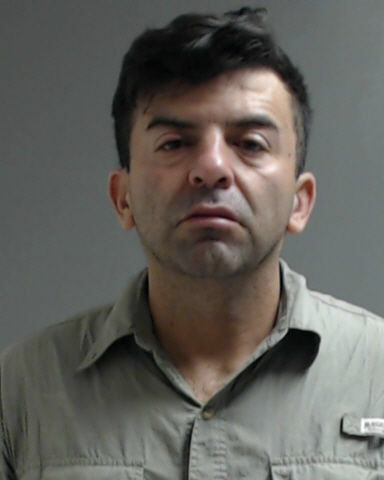 After his arrest, Treviño was taken into questioning by Palmview police because investigators learned that Treviño and Herrera had been at the Palmview Inn Motel prior to Herrera’s death. Palmview Detective David Salinas said the investigation into the circumstances surrounding her death is pending. Once released from jail, Treviño will be placed on the Alternative Incarceration Program (AIP), per the judge’s orders, which requires strict supervision of his daily whereabouts and activities. The judge set a tentative status hearing on the trespass charge for Thursday pending Treviño’s release from jail.